The exact “date of birth” of the West Oakland/Twenty-Third Avenue Church of God is not known. Earliest available records put the date sometime around early 1943, often called the “mother” church of Northern California Church of God congregations. In 1943, founding father, Elder Joe Eddens and his wife Sister Emily began holding meetings in their home at 945 Campbell Street, Oakland, California. Pastor Eddens resigned due to failing health. In 1944 Elder Moses E. Scott of Hanford, California, took up leadership of the congregation and pastored until 1945. In 1945 Elder Elton Pointer from Prescott, Arkansas began leadership. During Pastor Pointer’s first years our meeting places were not stable, but he and the group maintained a faith that was steadfast and unshakeable. After moving from several small storefronts the church saints purchased land and erected West Oakland Church of God, its first facility at 10th and Myrtle Streets, Oakland, California. Under Pastor Pointer’s leadership, nurturance and guidance, the West Oakland Church of God congregation grew steadily and became the root from which many of the local churches sprouted,including: Marin City Church; All Nations Church, San Francisco; Vista Hills Church, Richmond; All Nations Church, Isleton; Community Church, East Oakland and the church at East Palo Alto. In 1967, the church at 10th & Myrtle Streets was targeted for redevelopment by the City of Oakland. The congregation under the direction of the new Pastor, Rev. Curtis Barge (1968), relocated to its present facility, a 3-story, 450 seat edifice, with more than sufficient classrooms and office space, at 1940 Twenty-Third Avenue. 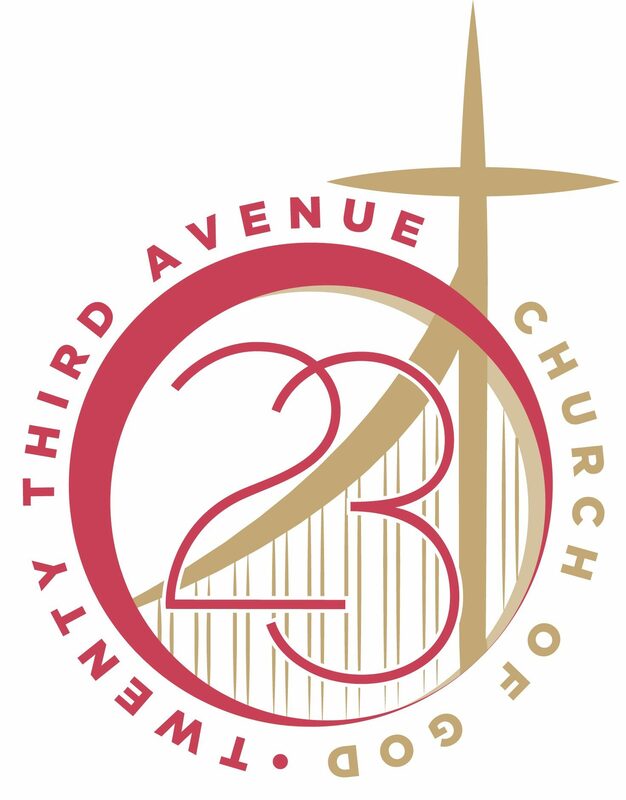 In this new location, Twenty-Third Avenue Church of God with its various outreach ministries, grew and prospered in the Lord as it worked with people of Oakland’s San Antonio and Fruitvale areas. The church has experienced few pastoral changes, which include Rev. Matthew Moore, Rev. Robert Marshall (1982) and Dr. Cynthia D. James (1996) began as pastor. Rev. Demetries Edwards took on pastoral leadership in 2013, continuing to lead Twenty-Third through its chosen ministries. We are now in our 75th year of ministry since the first organized meeting of Twenty-Third Avenue Church of God congregation. By faith, we will continue in outreach to the people of Oakland and beyond. Throughout our history, we have been a church willing to make evident our faith by hard work and dedicated service. Today, our very existence is a tribute to the faith and faithfulness of countless believers who have preceded us in this fellowship. So, we eagerly anticipate the future—as we face it with certainty of God’s continued blessing hoping others will join us as we spread the Gospel of Jesus Christ through this Great City and State.